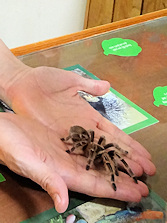 I’ve shared moments with two species of tarantula spider (those are my hands in the photo*). But neither experience can match the terror of waiting for the first reviews of a new novel. Writing always feels like exposing a little bit of the soul. Reviews can be a bandage, a soothing balm for the wound. Or salt, depending on how many stars they come with. A positive review or comment is affirming, helping banish the gnome of self-doubt that sits on just about every writer’s shoulders. It encourages you to write more. And there is a particular joy to knowing you have given someone pleasure…that the time they spent with your words was time spent well. A positive review at sites like Amazon or Goodreads helps spread the word, which is vital for independent or niche writers who cannot ride the PR machine of a big publisher. A review is feedback you can draw on to understand what your readership likes (or doesn’t), provided you remember you can’t be all things to all people. A review helps a reader decide if the genre, style, story etc. fits their preferences, ensuring the right match between books and audience. *For the record, the pictured encounter was fairly innocuous since the genteel lady spider kindly refused to make any sudden movements. My other encounter involved a larger version who insisted on crawling over my hand. Unfortunately, that was not the end of it. It being an entomology practical at university, I spent an entire afternoon enjoying ever closer relationships with the very worst that the world of insects and related horrors could throw at me. Emotionally exhausted and vowing to switch to an art history or metallurgy degree, I collapsed into the chair at the final observation table, relieved to see nothing but a potted shrub before me. Closing my eyes, I gave thanks to the deities for their mercy. Opening my eyes, I came face to face with what I now recall as a 30-foot lime-green insectoid monster with jaws the size of a hippo’s. I believe it may have been the inspiration for the film, Alien. Now you know why I live on the sixth floor in a city. Since becoming a published writer, I think back on some reviews I have written and wish I could revise or take them back. Its not fair to give a poor review to a book that you didn’t enjoy because it was not your preferred genre, or because I disagreed with the views of the writer. 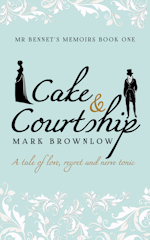 Reviews are most useful to writer and reader alike if you explain what you liked about the book. If you thought something was poorly done (like clumsy dialogue or bad exposition or slow plot) that’s a different matter from disliking a book about clowns because you hate clowns. Clowns are way worse than spiders, btw. Wise words. It certainly changes your understanding when you “switch sides”. It’s unfortunate when you see a book get a poor review because it was delivered late, for example. P.S. Agree with you on clowns.